"I personally learned a lot of useful things for myself today, and for free! This is also an investment! Well done! Thank you!" - the First Deputy Minister of Investment and Foreign Trade of the Republic of Uzbekistan Sunatulla Bekenov thanked Tatarstan Investment Development Agency for the presentation of economic activity of Tatarstan. The official delegation of Uzbekistan is on a working visit to the capital of Tatarstan to exchange experience. "We are very pleased to welcome our colleagues. Stable relations between the republics are effective and bring excellent results. Thus, in 2017, the volume of trade turnover between Tatarstan and Uzbekistan increased by 80% and amounted to about 100 million USD. In 2018, the trade turnover increased by 57% and amounted to 146 million USD. The cooperation is based on such companies as "Tatneft", "KAMAZ", Kazan Compressor-Building Plant, etc. 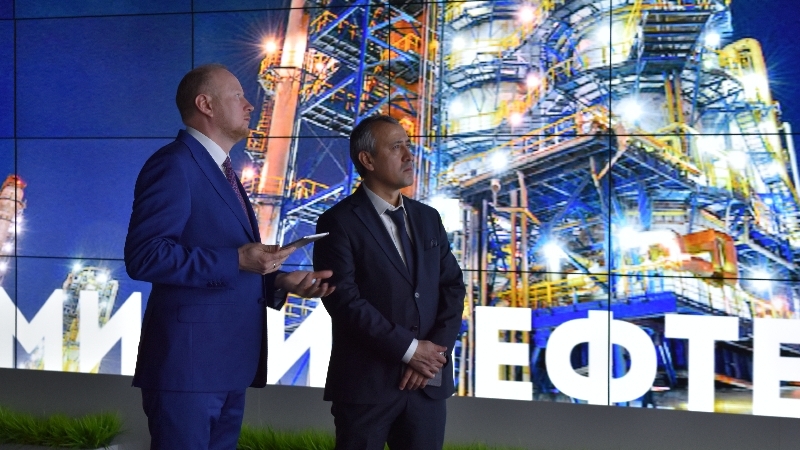 Work to open a branch of Tatarstani Technopolis "Himgrad" in Tashkent region is underway. We are open and interested in expanding cooperation", - the Head of Tatarstan Investment Development Agency Taliya Minullina shared. The guests visited the first in Russia IT-city Innopolis, technopolis "Himgrad", got acquainted with the developments of "Eidos-medicine" center and "Eidos-robotics". The President of Tatarstan Rustam Minnikhanov organized a reception for the delegation headed by the First Deputy Prime-Minister - Minister of Transport of Uzbekistan Achilbay Ramatov in his residence. During the meeting, further cooperation including the strengthening of twinning ties between Kazan and Tashkent were discussed. The first persons of Tatarstan presented the experience of the republic in attracting investment and creating the necessary infrastructure, construction, including roads, housing and land relations. The parties agreed on the development of mutual trade. Rustam Minnikhanov invited the guests to the International Economic Summit "Russia - Islamic World: KAZANSUMMIT" and International Championship for Working Professions WorldSkills-2019, which will be held in the capital of Tatarstan. Tatarstan and Uzbekistan traditionally have strong business relations. The agreement on cooperation between the republics was signed in 1993. There is an active exchange of delegations. In September 2017, a business forum with the participation of two presidents of the republics took place in Tashkent, where a number of agreements was signed. In October 2018, the first Russian-Uzbek interregional forum was held.